The span of the past year has seen many changes to the way SEO’s handle things. No longer is it simply a matter of building a large number of directory links as quickly as possible, but rather an entirely new metric will be at play. While the task of building your links will never be easy, especially when you’re talking about high quality links, it’s absolutely doable and we expect people will quickly adapt to the new metrics in order to remain successful. To help you adapt just as quickly, here are a few tips for building your site links in 2013. With the advances in technology it’s no surprise that Google is able to tell which of your links are worthwhile and which of them are not. As such it’s important to build high quality links in order to maintain a high ranking in searches. Naturally diversity is still an important factor and some links are just better than others, but “spammy” links are of no use at all. While guest posting on other blogs is still a great method for link building you have to be careful about the quality of the blogs you’re posting on. Low authority blogs aren’t going to get you where you’d like to go. This is also true for any of your link building strategies. The high qualities links are going to move you up in the search rankings whereas the low quality ones just won’t. Naturally, content is going to be an important factor for determining the quality of links you’ll have access to. One link building trick from the past that no longer works is linking from a non-relevant site. With the new metrics it’s important to link from a relevant site as well as a relevant page. If it turns out that a link to your site isn’t coming from a relevant source, it’s not going to boost your rankings hardly at all. For example, my online surveys for money site Survey Satrap, is about paid surveys, getting links from blogs and pages that are centered around marketing research, focus groups, make money online etc, is will be a tremendous help for my site. Now I could go out and get links from gardening related sites and many others, but the impact these links will have is nowhere near the impact links acquired from the first set of sites. It’s easy to generate hundreds of links if you aren’t concerned about relevancy, but they’ll have little to no positive effect. Your results are going to hinge a great deal on the relevancy of your links. The more relevant they are the better. This has been a major talking point ever since the Panda and Penguin issued updates that actually penalized a site’s rankings for using too many exact anchor text links. For 2013 branded anchor text is the way to go. Essentially this means you link will use the name of your site as the anchor text instead of a keyword optimized phrase. Naturally this will be a difficult concept to grasp for many SEO’s and thus they often still build far too many of these exact anchor text links. However to remain competitive in 2013 this is a trend they’re going to have to abandon. A major factor that’s rapidly becoming more important than anchor text links is the relevancy of the content linking to your site. If you have a link to your site from a site that contains similar content and is located on a good domain you should still receive the benefits of an exact anchor text link using a simple branded anchor text link. Despite the importance of the other points so far it’s also important not to forget to diversify your links. While it’s true that branded anchor texts links are beating out exact anchor text links it’s still important to have some of both. Having every link be a branded anchor text link will lead to trouble (though not as much) as surely as having all exact anchor text links. Similarly if you’re only using directory links or guest post links and not a little of both you’re going to run into issues regardless of the quality of each link. While you’ve likely already heard this repeated over and over again in your link building career it bears repeating. The content of your site is very, very important even in regard to link building. Many SEO’s disregard content as not being terribly important assuming, erroneously that poor content has no bearing on their link building. This simply is not the case. A site that contains low quality content isn’t going to be able to generate a great deal of traffic on its own merits, let alone be an attractive option for high profile linking partners. No one is going to link to bad content because there’s simply no reason to. Anymore these days there’s hardly a reason to link to good content. It take great content to generate the links that move you up the rankings and if you have great content the links will soon come. It’s just a fact that link building is never going to be easy. Updates will come and things will continue to change over and over again. However, following the tips given above can help you prepare your site and your link building strategies for the future to come. “Spammy” linking techniques are no longer being tolerated by Google as it implements fixes with every new update that rolls down the pipe. 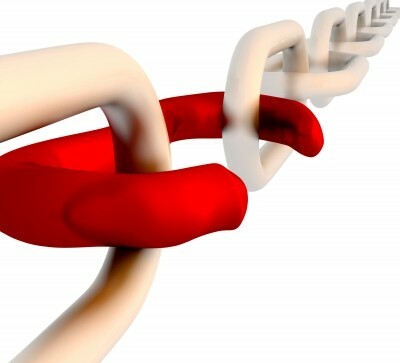 Changing your sites linking strategy now to exclude the low quality links will not only guarantee continued high rankings but also allow you to continue operating in such a way for years and year, confident in the fact that your linking strategy will be able to handle anything that a Google update may throw at it. Satrap is the founder of popular paid surveys review site SurveySatrap.com where he shares his experience with various survey panels with his readers. To learn more about satrap and his site, follow him on Google+. I think your very first point is so often overlooked. Quality is what really matters and I rather have 5 quality links than 50 no quality links which can actually harm your site. Nice post. Absolutely, one quality links can do wonders for you. I think thats where lots of pole go wrong, they go for quantity rather than quality. Yeah, Really informative article, Google is really intelligent and serious about SEO techniques. if we are using any cheap way to make our blog ranking Good, then you can’t even think about making any kind ranking in Google. Thanks for sharing your thoughts Amit. I do agree the your points here, however on your anchor text you shouldn’t only use branded anchor text but you should also have more variant of your anchor text, anchor text that we thoughts are not useful like Click here, or read more is now preferred to Google. You have to use a combination of anchor texts including your branded name, click here, read more, etc.. Thanks for sharing your tips on how to build links moving forward. Qasim, you are right, variation is the key. I am not suggesting you should ONLY use branded anchor text. Thanks for stopping by. The best links are the ones you don’t even know you have. There is no way to fake sincerity, and there is no way to contrive a natural backlink pattern. I agree, but lets be honest David, just writing great content is not going to get you anywhere. You have to promote it somehow, you have to get in front of people. I would love it if I could just create great content and rank, but that is not the case right now. You are 100% right. You need a megaphone. You need to get the content out in front of as many people as possible. My point is that the more you do that, the more of the really great links you will pick up. These are not contrived. Very interesting information here about the immediate future of SEO. However, one thing that hasn’t changed is the value of producing high quality content. Thanks for sharing and have a great day! Absolutely, giving value will always be the best strategy in the long haul. Thanks Tom. Good quality content remains to be the best strategy for obtaining quality links and securing your place in the search engine rankings. The whole search engine algorithms are moving towards providing people with relevant, unique and high quality content that they are searching for. Black hat techniques are out the window and white hat is becoming the standard. I am all for white hat, but I wouldn’t go as far as saying black hat is out of the window though. I monitor lots of serps and clearly some of the worst black hat techniques still work. But for the long run, you are right, you should avoid such tactics. As long as you dont just rely on bookmarks and directories for backlinks! Remember, diversity is still an important part of this whole game. Great post, quality over quantity, for me its ver important. and of course your website content. nice article link building or backlinks are very important for any website high quality backlinks also increase website organic traffic and it will very helpful to all. very nice tips very helpful with me thanks for sharing. Being patience is one important quality that many people dont have and in SEO being patient is a plus. One more thing that must be taken into account is the fact that its better to build links gradually, in a natural way. Building bulk links at a time doesn’t work. Low quality directories and links from irrelevant sources hurt your blog’s SEO too. Link building strategy has completely changed after last year’s panda and penguin update. Agreed 100% Ankur. Link velocity is becoming ever more important. wow great analysis you have made in all areas of it i agreed that one good link of quality can bring the thing that quantity wont do great analysis. Yes, indeed! 1 Quality links does more good than hundreds of lower quality ones. The trick is differentiating or rather knowing how to differentiate between quality and a not so quality link. Great post mate. Now that Google is focusing more on improving the search performance by rolling out new updates every month, the link building subject has become a highly debated one. However quality has always ruled and will continue to rule no matter what happens and what type of link building you do. Quality makes linking. Right link building is more important when considered to have success in blogging.Anchor text helps to get better crawling for search engines. This article was highly appreciated. Nice article about link building strategy .. You Know Google every 6 month or every year gives our new updates . According to google updates we can do work. Can you Explain why the Google give new updates?